My friend asked me to make red velvet cupcakes for her birthday party. The theme for the party was simply “red”. Everyone wore red, all the food was red, all the wine was red (rose, actually, cuz it’s summer finally! ), all the decorations were red — you get it. But, it being summer finally, it was too hot to turn on the oven. 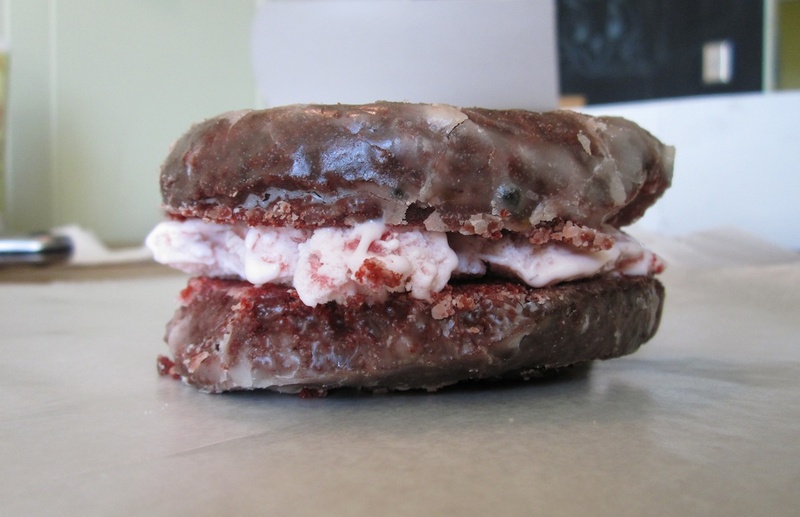 So I did what I’ve heard they do at the amazing donut shop next door — make donut ice cream sandwiches out of their amazing Red Velvet donuts. 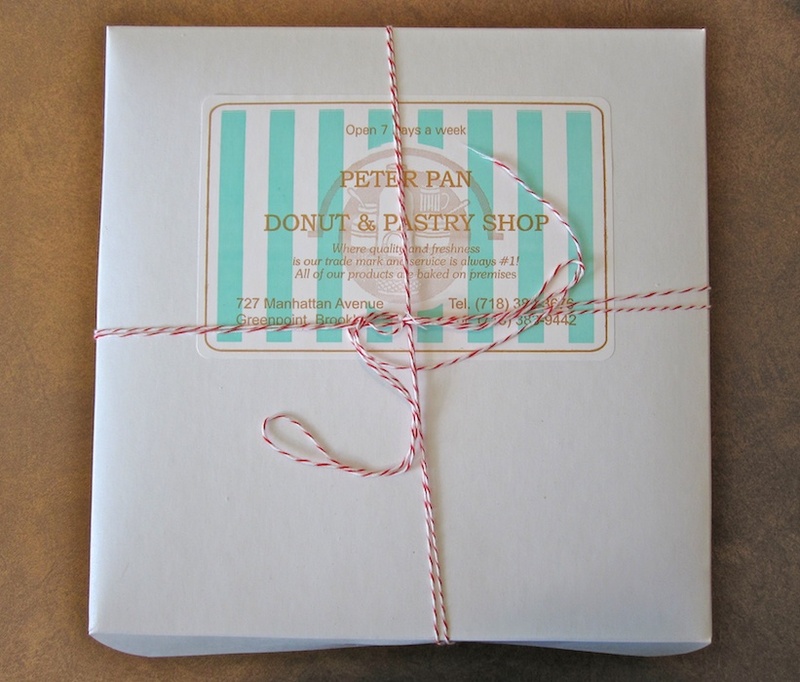 If you ever see this box, trust that whatever is inside is DELICIOUS. Prep was really the key to success here (and quality ingredients). Ice cream melts, so there’s no time to spare. 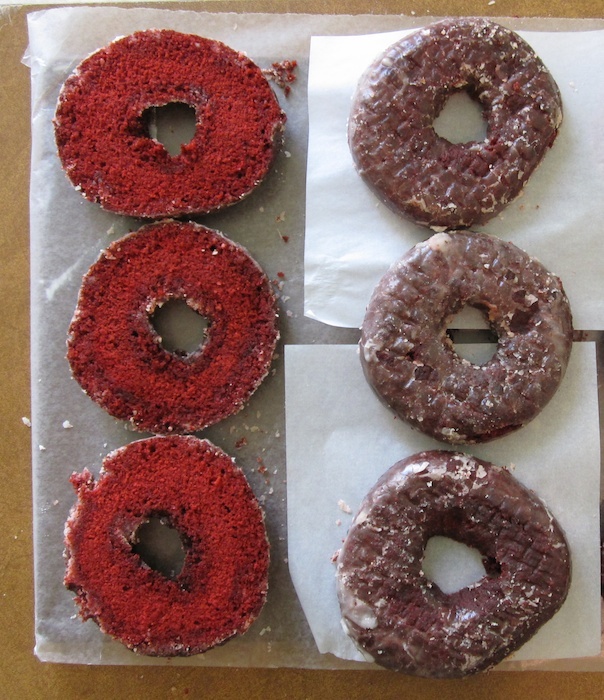 I cut some wax paper to individually wrap the finished sandwiches in and cut open all the donuts. 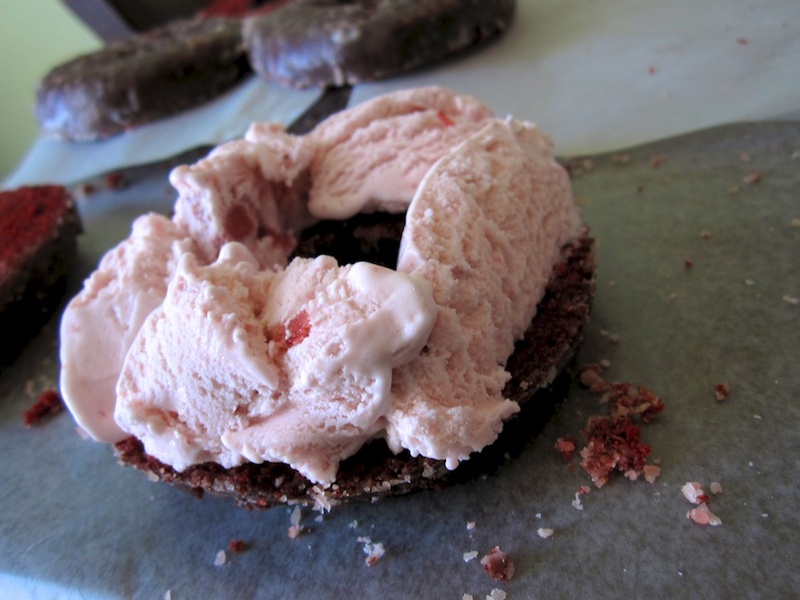 wrapped in pre-cut wax paper, and put directly in the freezer. I rinsed and repeated until I wanted to climb in the freezer with them. That was about 3-4 hours before dessert time, and they were set enough without being rock-hard. 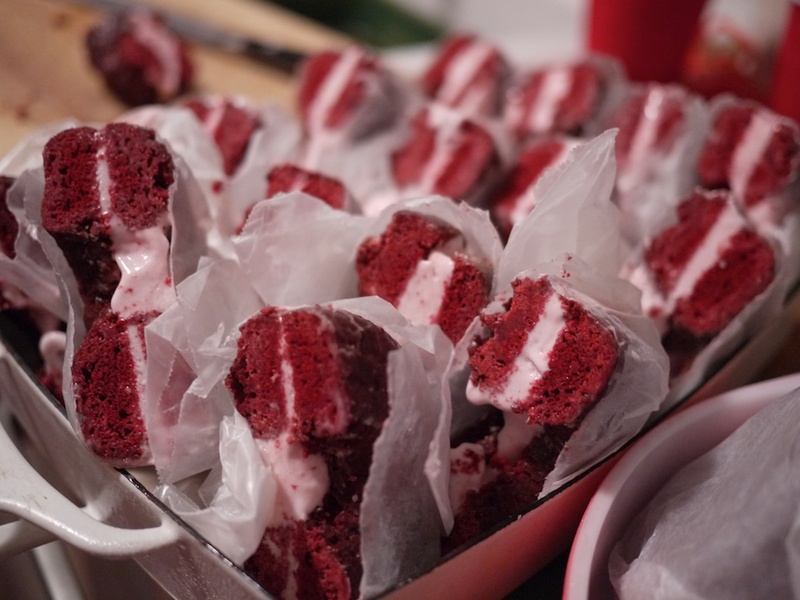 Just before serving, I cut them in half with the wax paper still on, so no one got sticky hands or strawberry ice cream all over their red party dresses. You need to insure those ‘GOLDEN’ hands of yours!! !